Noyce Master Teachers Alicia Davis and Sherry West of Lincoln Public Schools have each been named state finalists for PAEMST. The PAEMST is the highest recognition that a K-12 mathematics or science teacher may receive for outstanding teaching in the United States. 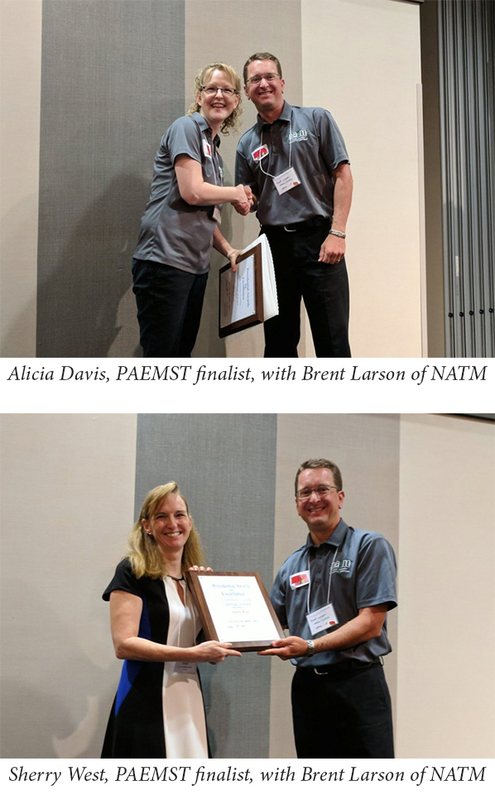 Davis and West received their recognition as finalists in front of more than 500 peers at a conference for the Nebraska Association of Teachers of Science (NATS) and the Nebraska Association of Teachers of Mathematics (NATM). The 2017 NATS/NATM Fall Conference was held from September 7-9 in Kearney.